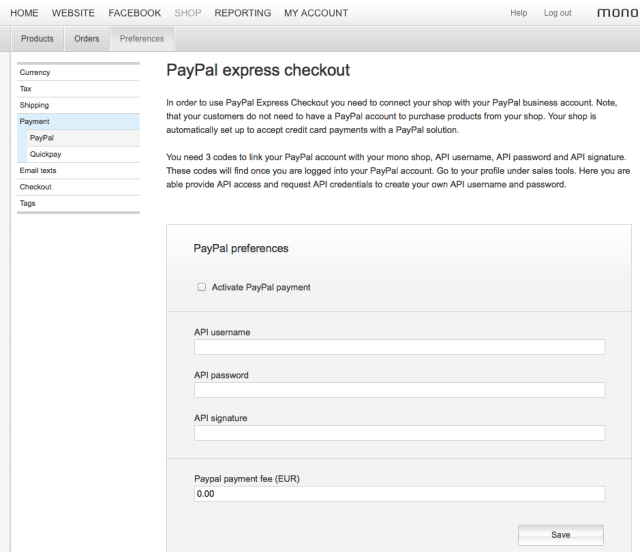 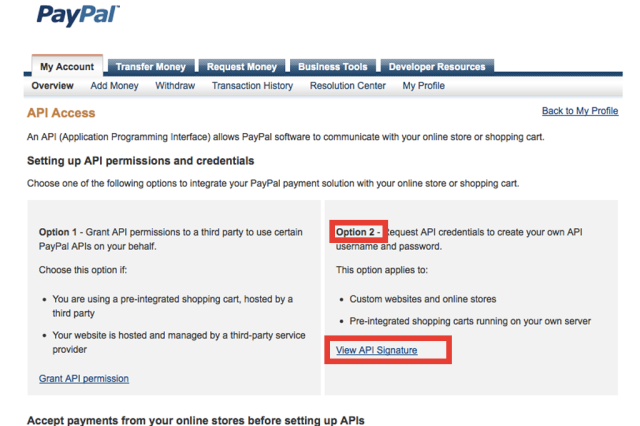 Once a PayPal account has been set up, the mono shop must be linked to your payment gateway account. 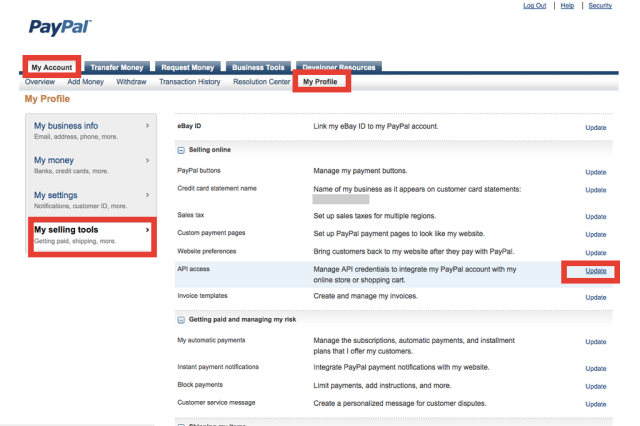 These codes will find once you are logged into the PayPal account on your profile under sales tools. 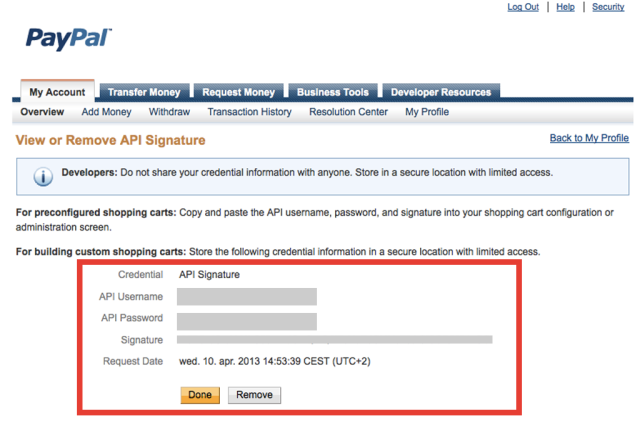 Here you are able provide API access and request API credentials to create your own API username and password.